all mine! : I'll be at SCALE and FOSDEM, how about you? 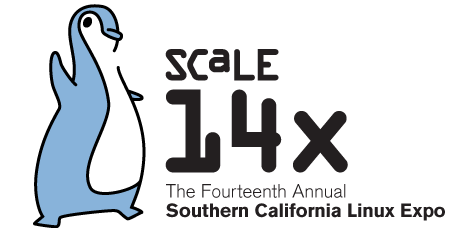 Next week, the Fourteenth Annual Southern California Linux Expo kicks off in Pasadena, LA. A week later it's FOSDEM time, in Brussels, Belgium. Both events have a ownCloud booth and a KDE booth, and both can use some help! More importantly, I have to tell you why you should bother. "why the heck would I bother"
"why me, I've never done this before"
It seems, perhaps, a crazy tiring and difficult thing to do, standing at a booth and talking to people all day. Coding beats it any time, you'd think. Well, believe me: reality could surprise you! Have you ever visited a geek conference like FOSDEM, SCALE, or something smaller, locally? If not, let me tell you - it is a blast. Interesting technology but more importantly - interesting people. Often, you can talk to the people who "do the work" and believe me, they have things to say. "Conferences are like rock concerts: the back stage experience is THE BEST"
But let me tell you a secret. Conferences are like rock concerts: the back stage experience is THE BEST. Seriously, being part of the booth team adds a whole extra dimension to the experience. First, because you get to talk far more intensely with the rest of the team - you'll be there setting up the booth, having breakfast in the morning and beers together at night, plain awesome. But don't discount the visitors. Many have interesting questions and stories to tell and the conversations can be fascinating. "but it is hard work, right, with hard questions to answer? And all I get is a free entree ticket..."
Yeah, true on the ticket. And you might not be a huge fan of people and talking in the first place, perhaps, I get that, too. But you're still wrong about it. You see, these conversations aren't like a typical birthday party chit-chat where you have to explain (again) what you do, be nice and social to your aunts you don't like and all that. Nor is it like the pressure of a business meeting, or a networking session. It is nothing like that! It is hard to explain, but let me try. It is more like trying to help that colleague who recently joined and just doesn't know the product very well. See, people are almost always nice, interested and just as geeky as you. 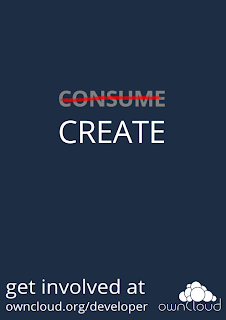 You might not know the but it isn't about that: they don't really talk to "you" but to "KDE" or "ownCloud". Even if you're not naturally a speaker or enthusiastic, the conversations are very easy. As a matter of fact, after having had five, you'll notice four of those went almost exactly the same and you'll develop a kind of elevator pitch, not the fancy ones, but the ones you just naturally assume. Believe me, before you know it, you'll be approaching people who haven't asked a question yet and ask if you can help them. "Some visitors can be best described with words usually bleeped out on TV." Of course I won't claim it is all, always easy. Sometimes, visitors can be described with words usually bleeped out on television. I won't lie to you. But even this isn't too hard to handle. First, because you don't write all of the code in your project, or even none in many cases (like mine). You don't have to take it personally. Plus, realize that, in most cases, those being difficult do it because they care: they wish the project was more, better than it is - that happens to be a wish you share with them. Often it just isn't meant half as bad as it might have sounded and a quick conversation shows the common ground. Moreover, you are not alone. You have your team mates to back you up (or complain to after the visitor left) and hey, that's just bonding, right there! I think that without the few bad conversations, the really good ones wouldn't stand out as much. Yes, there are really nice, energizing conversations. From people who just come by the booth to tell you how much your project (and by extension you) rock to people who tell you, sometimes to the point of really getting emotional, how your community has provided them with something amazing. At those moments, you just soak in the love. Be sure to record or note down any concrete compliments so you can share this later with the community online, in a blog or just a mail to the development mailing list! If you want to learn more, I've been writing a how-to on organizing a booth and collected some practical tips for conversations with the visitors on this page. More tips welcome! Now, how can you help? The KDE booth at SCALE is actually a bit in trouble. We have some folks who have been helping out the last few years but, perhaps in part due to the early dates, just couldn't make it this year. 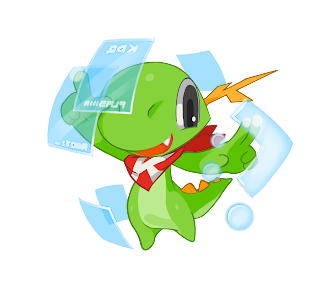 If you're a KDE user, contributor or just fan, think about helping out! If you use KDE software, especially Plasma of course, and occasionally follow the blogs, you'll have what it takes to help out. Most questions are basic and there are always others around who can help out a bit here or there - including myself, I'll check in a few times for sure. And the openSUSE booth next door, which helps organize the KDE and GNOME presence at SCALE, has plenty of experts in all areas as well. You won't be without backup, not at all! KDE at FOSDEM already has six volunteers (see the wiki page) and we unfortunately only have one table this year. While help is always welcome, this ain't super urgent. It IS fun, though, so if you're up for it, give it a try! Matt McGraw and myself will staff the ownCloud booth at SCALE, ready to answer any questions you might have. We're just with two people, so we'd sure welcome a third person! If you're interested, just shoot me an email or comment here. It isn't difficult - I'd even say that if you've been using ownCloud for a few months you can already provide a lot of help at the booth, and Matt and myself are always there. At FOSDEM, we have a few more volunteers but I also know, from last year, that the booth will be flooded with visitors so if you're up for helping out, even if it's just a few hours, please let me know!